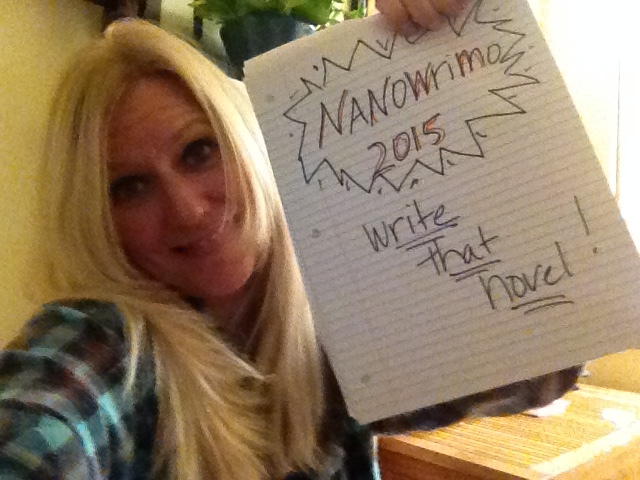 Here we are on the second day of NaNoWriMo 2015! I looked forward to this month as being a part of a large group that works toward writing 50,000 words in a novel. It’s a great challenge and allows you to get writing, no fearing the page, creating a writing routine and producing a first draft of a novel. So what am I doing on this blog??? ummmm taking selfies…taking a break….my characters are calling for me…gotta fly! See ya!